The Wildcats looked to go on the road to win there first conference dual of the season. The cats felt good about there chances to improve to .500 in dual competion. 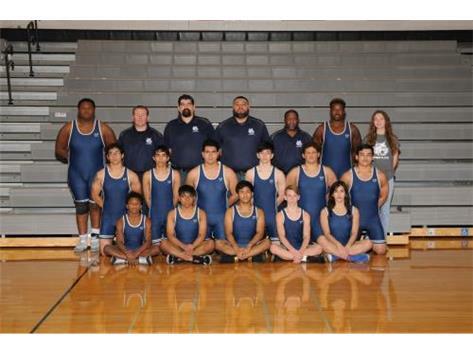 The team took the first wins at 195 and 220 lb victories from Cosme Ramos and Noah Kotke. The 285 lb weight class went to East Auroroa. With the cats forfeiting 106 and 113, the score went in favor of East Aurora 15-12. The Cats bounced back with a victory from 120 lb Asia Smith in a close battle that got the cats back on track. Wildcats won 126 with Eduardo Cholula and 132 with Isaac Padilla. The 138 lb weight went in favor of East Aurora. The score now showing 21-18, the three seniors stepped up and closed the show with victories at 145 Chris Garcia, 152 Victor Castellanos, 170 Malik Milazzo. The wins gave he cats lead for good, even after the forfeit at 160 lb. making the score 35-24. The winning ended with Jr. Sebastian Tarrazzas at 182 lb and the teams first Upstate Eight Dual competition victory. The wildcats traveled to wrestle 24 of the best teams in Wisconsin over the weekend. While the young cats battled and were in 10th place after the first night, injuries and unfortunate circumstances limited the teams chances to improve in the standing on day two. However one individual stood out for the Wildcats. Senior and captain Malik Milazzo showed off his skills against the best Wisconsin had to offer. Milazzo dominated with technical fall in his first bout. In the quarterfinal match, Malik battled and was at one time trailing in the match, came out on top with a fall in the third period. The next day would bring the toughest competition the tournament had to bring in one of the top wrestlers in the state from Wisconsin Rapids. Milazzo knew he had to wrestle a near perfect match and was unable to control the leg riding rapids wrestler. Milazzo was disappointed but not discouraged and bounced back like a true champion. He went into the consolation side of the bracket, needing two victories to be awarded the top consolation prize of third place. Malik did not disappoint, and in typical fashion the match ended with Malik scoring at the right time, and than scooting away in the last seconds to preserve the victory. The 3rd place finish will hopefully be a spring board for the remaining part of the season as Milazzo has his eyes set on a trip to Champaign in February.